Trustworthy and worry-free, this Used 2016 Acura MDX w/Advance packs in your passengers and their bags with room to spare. This Acura MDX features the following options: Window Grid Antenna, Wheels: 19 x 8.0 Aluminum Alloy, Voice Activated Dual Zone Front Automatic Air Conditioning, Vehicle Stability Assist Electronic Stability Control (ESC), Valet Function, Trunk/Hatch Auto-Latch, Trip computer, Transmission: 9-Speed Automatic -inc: Sequential SportShift w/paddle shifters and Electronic Gear Selector, Transmission w/Oil Cooler, and Towing w/Trailer Sway Control. Pilot the whole group in luxurious comfort in this safe and reliable Acura MDX. For a hassle-free deal on this must-own Acura MDX come see us at Dani's Auto Sales, 6450 Harbison Ave, Philadelphia, PA 19149. Just minutes away! Check out this 2016 Audi Q5 . Its Automatic transmission and Intercooled Turbo Premium Unleaded I-4 2.0 L/121 engine will keep you going. This Audi Q5 comes equipped with these options: Window Grid Diversity Antenna, Wheels: 8.0 x 18 5-V-Spoke-Design, Valet Function, Trunk/Hatch Auto-Latch, Trip computer, Transmission: 8-Speed Tiptronic Automatic -inc: sport program and manual shift mode, Transmission w/Driver Selectable Mode, Sequential Shift Control and Oil Cooler, Tires: P235/60R18 AS, Tailgate/Rear Door Lock Included w/Power Door Locks, and Systems Monitor. Test drive this vehicle at Danis Auto Harbison, 6250 Harbison Ave, Philadelphia, PA 19149. Come see this 2015 Audi Q5 PREMIUM PL. Its Automatic transmission and Intercooled Supercharger Premium Unleaded V-6 3.0 L/183 engine will keep you going. This Audi Q5 comes equipped with these options: Window Grid Diversity Antenna, Wheels: 8.0J x 19 5-Arm Star Design, Valet Function, Trunk/Hatch Auto-Latch, Trip computer, Transmission: 8-Speed Tiptronic Automatic, Transmission w/Driver Selectable Mode, Sequential Shift Control and Oil Cooler, Tires: P235/55R19 AS, Tailgate/Rear Door Lock Included w/Power Door Locks, and Systems Monitor. Test drive this vehicle at Danis Auto Harbison, 6250 Harbison Ave, Philadelphia, PA 19149. Check out this 2014 Buick Enclave PREMIUM. Its Automatic transmission and Gas V6 3.6L/217 engine will keep you going. This Buick Enclave has the following options: WHEELS, 19 (48.3 CM) CHROME-CLAD ALUMINUM, 9-SPOKE (STD), WHEEL, 17 (43.2 CM) COMPACT STEEL SPARE WHEEL AND TIRE (STD), TRANSMISSION, 6- SPEED AUTOMATIC, ELECTRONICALLY CONTROLLED WITH OVERDRIVE (STD), TIRES, P255/60R19-108S ALL-SEASON, BLACKWALL, MICHELIN (STD), SUNROOF, POWER tilt-sliding with additional skylight fixed glass aft of the sliding glass and sunshade, SEATING, 7-PASSENGER, FRONT BUCKET second-row captain's chairs, flat folding and SmartSlide access to third row, third row flat folding 60/40 split bench (STD), NAVTRAFFIC is available in over 130 markets and works with your vehicle's navigation system to give you detailed traffic data right when you need it most - while you're driving. You'll avoid traffic tie-ups, save time and gas by getting alternate routes, and, in some cases, receive traffic speed and drive-time information. Plus, you can use NavTraffic at the same time you're enjoying SiriusXM Satellite Radio. You'll find that once you start using NavTraffic, you won't want to drive without it., LICENSE PLATE BRACKET, FRONT MOUNTING PACKAGE, ENGINE, 3.6L VARIABLE VALVE TIMING V6 WITH SIDI (SPARK IGNITION DIRECT INJECTION), DOHC (288 hp [214.7 kW] @ 6300 rpm, 270 lb-ft of torque [364.5 N-m] @ 3400 rpm) (STD), and COCOA, PERFORATED LEATHER SEATING SURFACE. Stop by and visit us at Danis Auto Harbison, 6250 Harbison Ave, Philadelphia, PA 19149. Come see this 2013 Cadillac SRX LUXURY. Its Automatic transmission and Gas/Ethanol V6 3.6L/217 engine will keep you going. This Cadillac SRX has the following options: WOOD TRIM PACKAGE includes real Choco Sapele wood on steering wheel (heated) and shift knob, WOOD TRIM PACKAGE includes real Choco Sapele wood on door and center stack, WHEELS, 18 X 8 (45.7 CM X 20.3 CM) BRIGHT MACHINED FINISH ALUMINUM (STD), TRANSMISSION, 6-SPEED AUTOMATIC, FWD, 6T70 with tap-up/tap-down (on shifter), performance shifting and manual-up/manual-down (STD), TIRE, COMPACT SPARE, SHALE W/EBONY ACCENTS, LEATHER SEATING SURFACES, SEATS, FRONT BUCKET includes 8-way power driver seat adjuster (STD), NAVIGATION SYSTEM Includes (UVC) rearview camera and (UQS) Bose Centerpoint Surround Sound premium 10-speaker system., LUXURY COLLECTION PREFERRED EQUIPMENT GROUP Includes Standard Equipment, and LANE DEPARTURE WARNING. See it for yourself at Danis Auto Harbison, 6250 Harbison Ave, Philadelphia, PA 19149. Bold and beautiful, this 2010 Cadillac Escalade will envelope you in well-designed charm and security. With a Gas/Ethanol V8 6.2L/376 engine powering this Automatic transmission, this ride is an intoxicating mix of precision and allure. It's loaded with the following options: WHEELS, 4 - 22 X 9 (55.9 CM X 22.9 CM) 7-SPOKE CHROMED ALUMINUM, TRANSMISSION, 6-SPEED AUTOMATIC, HEAVY-DUTY, 6L80E, ELECTRONICALLY CONTROLLED with overdrive and tow/haul mode (STD), TIRES, P285/45R22, ALL-SEASON, BLACKWALL TL AL2 (STD), SEATS, SECOND ROW BUCKET WITH LEATHER SEATING SURFACES reclining with heated seat cushions (3 settings) and fold-down armrests, SEATS, FRONT BUCKET with leather seating surfaces, driver and front passenger 14-way power seat adjusters, 4-way power lumbar control, independently heated driver and front passenger seat cushions and seatbacks (3 settings), 2-position driver memory (STD), LUXURY PREFERRED EQUIPMENT GROUP Includes Standard Equipment, LICENSE PLATE BRACKET, FRONT, ENTERTAINMENT SYSTEM, REAR SEAT, IN-DASH DVD PLAYER with remote control, overhead display, 2 wireless infrared headphones, auxiliary audio/video jacks on rear of center console, sound compression, CD-R and CD-R/W capability, LED backlighting display, MP3 capable, ENGINE, VORTEC 6.2L V8 SFI (E85) with Active Fuel Management and E85 FlexFuel capability (403 hp [300.5 kW] @ 5700 rpm, 417 lb-ft of torque [562.9 N-m] @ 4300 rpm) (STD), and CASHMERE/COCOA, NUANCE LEATHER SEATING SURFACES . 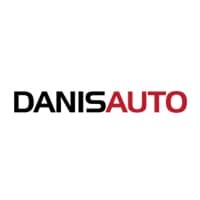 Visit Danis Auto at 6250 Harbison Ave, Philadelphia, PA 19149 today. Look at this 2010 Cadillac Escalade Luxury. Its Automatic transmission and Gas/Ethanol V8 6.2L/376 engine will keep you going. This Cadillac Escalade comes equipped with these options: WHEELS, 4 - 22 X 9 (55.9 CM X 22.9 CM) 7-SPOKE CHROMED ALUMINUM, TRANSMISSION, 6-SPEED AUTOMATIC, HEAVY-DUTY, 6L80E, ELECTRONICALLY CONTROLLED with overdrive and tow/haul mode (STD), TIRES, P285/45R22, ALL-SEASON, BLACKWALL TL AL2 (STD), SEATS, SECOND ROW BUCKET WITH LEATHER SEATING SURFACES reclining with heated seat cushions (3 settings) and fold-down armrests, SEATS, FRONT BUCKET with leather seating surfaces, driver and front passenger 14-way power seat adjusters, 4-way power lumbar control, independently heated driver and front passenger seat cushions and seatbacks (3 settings), 2-position driver memory (STD), NEW JERSEY COST SURCHARGE, LUXURY PREFERRED EQUIPMENT GROUP Includes Standard Equipment, LICENSE PLATE BRACKET, FRONT, INFRARED TINTCOAT, and ENTERTAINMENT SYSTEM, REAR SEAT, IN-DASH DVD PLAYER with remote control, overhead display, 2 wireless infrared headphones, auxiliary audio/video jacks on rear of center console, sound compression, CD-R and CD-R/W capability, LED backlighting display, MP3 capable. Stop by and visit us at Dani's Auto Sales, 6450 Harbison Ave, Philadelphia, PA 19149. Check out this 2016 Chevrolet Equinox LT. Its Automatic transmission and Gas I4 2.4/145 engine will keep you going. This Chevrolet Equinox has the following options: WHEELS, 17 (43.2 CM) ALUMINUM (STD), TUNGSTEN METALLIC, TRANSMISSION, 6-SPEED AUTOMATIC WITH OVERDRIVE (STD), TIRES, P225/65R17 ALL-SEASON, BLACKWALL (STD), STEERING WHEEL, LEATHER-WRAPPED with audio and cruise controls, SEATS, HEATED DRIVER AND FRONT PASSENGER, SEATS, DELUXE FRONT BUCKET (STD), SEAT ADJUSTER FRONT, DRIVER 8-WAY POWER WITH POWER LUMBAR, REMOTE VEHICLE STARTER SYSTEM, and LT PREFERRED EQUIPMENT GROUP Includes Standard Equipment. Stop by and visit us at Danis Auto Harbison, 6250 Harbison Ave, Philadelphia, PA 19149. Come see this 2016 Chevrolet Traverse LS. Its Automatic transmission and Gas V6 3.6L/217 engine will keep you going. This Chevrolet Traverse has the following options: TRANSMISSION, 6-SPEED AUTOMATIC (STD), SILVER ICE METALLIC, SEATING, 8-PASSENGER (2-3-3 SEATING CONFIGURATION) with 2nd and 3rd row 60/40 split flat-folding bench seat (STD), RECLINING FRONT BUCKETS (STD), LS PREFERRED EQUIPMENT GROUP Includes Standard Equipment, LPO, ROOF RACK LONGITUDINAL C-CHANNELS AND CROSS RAILS, LPO, 'HIT THE ROAD' PACKAGE includes the following dealer-installed options: (VQM) Chrome assist steps, LPO and (S49) roof rack longitudinal C-channels and cross rails, LPO, LPO, CHROME ASSIST STEPS, LICENSE PLATE BRACKET, FRONT MOUNTING PACKAGE, and ENGINE, 3.6L SIDI V6 (281 hp [210 kW] @ 6300 rpm, 266 lb-ft of torque @ 3400 rpm [359.1 N-m]) (STD). Stop by and visit us at Danis Auto Harbison, 6250 Harbison Ave, Philadelphia, PA 19149. Come see this 2016 Ford Escape SE. Its Automatic transmission and Regular Unleaded I-4 2.5 L/152 engine will keep you going. This Ford Escape has the following options: Wheels: 17 Alloy Sparkle Silver Painted Alloy, Variable Intermittent Wipers, Trip computer, Transmission: 6-Speed Automatic w/SelectShift, Transmission w/SelectShift Sequential Shift Control and Oil Cooler, Tires: P235/55R17 A/S -inc: steel mini spare wheel w/mini space-saver spare tire, Tailgate/Rear Door Lock Included w/Power Door Locks, Systems Monitor, SYNC Services Selective Service Internet Access, and SYNC Communications & Entertainment System -inc: enhanced voice recognition, 911 Assist, 4.2 LCD screen in center stack, VHR, SYNC Services, AppLink, Bluetooth, steering wheel controls and smart charging USB port. Stop by and visit us at Danis Auto Harbison, 6250 Harbison Ave, Philadelphia, PA 19149. Look at this 2016 Ford Escape SE. Its Automatic transmission and Intercooled Turbo Regular Unleaded I-4 1.6 L/98 engine will keep you going. This Ford Escape features the following options: Wheels: 17 Alloy Sparkle Silver Painted Alloy, Variable Intermittent Wipers, Trip computer, Transmission: 6-Speed Automatic w/SelectShift, Transmission w/SelectShift Sequential Shift Control and Oil Cooler, Tires: P235/55R17 A/S -inc: steel mini spare wheel w/mini space-saver spare tire, Tailgate/Rear Door Lock Included w/Power Door Locks, Systems Monitor, SYNC Services Selective Service Internet Access, and SYNC Communications & Entertainment System -inc: enhanced voice recognition, 911 Assist, 4.2 LCD screen in center stack, VHR, SYNC Services, AppLink, Bluetooth, steering wheel controls and smart charging USB port. Stop by and visit us at Danis Auto Harbison, 6250 Harbison Ave, Philadelphia, PA 19149. Check out this 2018 Ford Escape SE. Its Automatic transmission and Intercooled Turbo Regular Unleaded I-4 1.5 L/91 engine will keep you going. This Ford Escape has the following options: Wheels: 17 Sparkle Silver-Painted Aluminum, Variable Intermittent Wipers, Trip computer, Transmission: 6-Speed Automatic w/SelectShift, Transmission w/Oil Cooler, Tires: P235/55R17 A/S BSW -inc: Low-Rolling-Resistance, mini spare, Tailgate/Rear Door Lock Included w/Power Door Locks, Systems Monitor, SYNC Selective Service Internet Access, and SYNC Communications & Entertainment System -inc: enhanced voice recognition communication, 911 Assist, 4.2 LCD screen in center stack, AppLink and 1 smart charging multimedia USB port. Stop by and visit us at Danis Auto Harbison, 6250 Harbison Ave, Philadelphia, PA 19149. Come see this 2017 Ford Edge SEL. Its Automatic transmission and Intercooled Turbo Premium Unleaded I-4 2.0 L/122 engine will keep you going. This Ford Edge comes equipped with these options: Wireless Phone Connectivity, Wheels: 18 Sparkle Silver-Painted Aluminum -inc: Split-spoke, Vinyl Door Trim Insert, Unique Cloth Bucket Seats -inc: 10-way power drivers seat (fore/aft/up/down/recline/tilt/lumbar) and 6-way power passenger seat (fore/aft/up/down/tilt/manual recline), Trip computer, Transmission: 6-Speed Automatic w/SelectShift -inc: paddle shifters, Transmission w/Driver Selectable Mode, Tires: P245/60R18 AS BSW -inc: mini spare, Tire Specific Low Tire Pressure Warning, and Tailgate/Rear Door Lock Included w/Power Door Locks. Stop by and visit us at Danis Auto Harbison, 6250 Harbison Ave, Philadelphia, PA 19149. Look at this 2016 Ford Edge SEL. Its Automatic transmission and Intercooled Turbo Premium Unleaded I-4 2.0 L/122 engine will keep you going. This Ford Edge features the following options: Wireless Phone Connectivity, Wheels: 18 Aluminum Painted Sparkle Silver -inc: Split-spoke, Vinyl Door Trim Insert, Unique Cloth Bucket Seats -inc: 10-way power drivers seat (fore/aft/recline/lumbar/up-down/tilt) and 6-way power passenger seat (fore/aft/up-down/tilt), Trip computer, Transmission: 6-Speed Automatic -inc: paddle shifters, Transmission w/Driver Selectable Mode, Tires: P245/60R18 AS BSW, Tire Specific Low Tire Pressure Warning, and Tailgate/Rear Door Lock Included w/Power Door Locks. Test drive this vehicle at Danis Auto Harbison, 6250 Harbison Ave, Philadelphia, PA 19149. Come see this 2013 GMC Acadia SLT-1. Its Automatic transmission and Gas V6 3.6L/220 engine will keep you going. This GMC Acadia features the following options: TRANSMISSION, 6-SPEED AUTOMATIC (STD), TRAILERING EQUIPMENT includes (V08) heavy-duty cooling and (VR2) trailer hitch, TRAILER HITCH, FACTORY INSTALLED, SUNROOF, DUAL SKYSCAPE 2-PANEL POWER WITH TILT-SLIDING FRONT AND FIXED REAR with sunscreen, SLT-1 PREFERRED EQUIPMENT GROUP Includes Standard Equipment, SEATING, 7-PASSENGER (2-2-3 SEATING CONFIGURATION) (STD) (Includes 2nd row flat-folding Captains Chair. May be substituted with (ABC) 8-passenger (2-3-3 seating configuration). ), RECLINING FRONT BUCKETS (STD), QUICKSILVER METALLIC, LICENSE PLATE BRACKET, FRONT, and ENGINE, 3.6L SIDI V6 (288 hp [214.7 kW] @ 6300 rpm, 270 lb-ft of torque [364.5 N-m] @ 3400 rpm) (STD). Stop by and visit us at Danis Auto Harbison, 6250 Harbison Ave, Philadelphia, PA 19149. Look at this 2015 GMC Acadia DENALI. Its Automatic transmission and Gas V6 3.6L/220 engine will keep you going. This GMC Acadia has the following options: WHEELS, 4 - 20 X 7.5 (50.8 CM X 19.1 CM) ALUMINUM (STD), TRANSMISSION, 6-SPEED AUTOMATIC (STD), SEATING, 7-PASSENGER (2-2-3 SEATING CONFIGURATION) (STD) (Includes 2nd row flat-folding Captains Chair. May be substituted with (ABC) 8-passenger (2-3-3 seating configuration). ), RECLINING FRONT BUCKETS (STD), MIDNIGHT AMETHYST METALLIC, LICENSE PLATE BRACKET, FRONT, ENGINE, 3.6L SIDI V6 (288 hp [214.7 kW] @ 6300 rpm, 270 lb-ft of torque @ 3400 rpm [364.5 N-m] with dual exhaust) (STD), DENALI PREFERRED EQUIPMENT GROUP Includes standard equipment, COCOA DUNE, SEAT TRIM, PERFORATED LEATHER-APPOINTED ON FIRST AND SECOND ROWS (Includes (KB6) heated and cooled front seats., and AUDIO SYSTEM, COLOR TOUCH NAVIGATION RADIO WITH INTELLILINK AM/FM/SiriusXM radio with CD player, 6.5 diagonal touch-screen display, USB port and auxiliary input jack (STD). Test drive this vehicle at Danis Auto Harbison, 6250 Harbison Ave, Philadelphia, PA 19149.